Speaking of graphic design, I can't believe that Hammer Creative just straight outplagerizes from the Stenberg Brothers. The ad below is from the Hollywood Reporter 33rd Annual Key Art Awards 2004. The small text says "new look, new talent, new ideas." Uh, right. 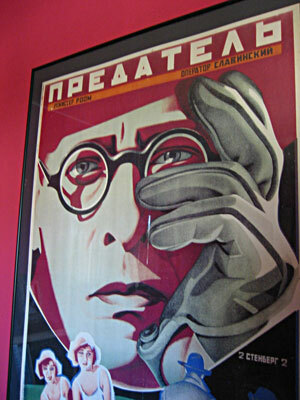 I saw this poster at MOMA in 1997 in NYC. A print of it hangs in the guest room. 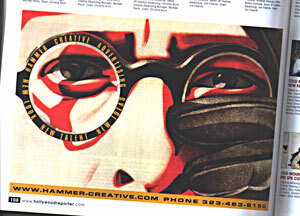 I guess the "Creative" in Hammer Creative is for creatively stealing images from dead Russian Stalinists. May 7 G is for: "graphic design"